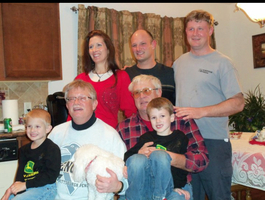 Provide comfort for the family of Sherry Verelst with a meaningful gesture of sympathy. Sherry Verelst, 46, of Oakdale, unexpectedly departed this life on Thursday, January 31, 2019 due to a medical condition. Loving mother of Evan Kelly Henke, Tegan Kade Henke and stepson Dustin James Henke. Beloved daughter of Joyce Toward of Oakdale & Armand J. Verelst III of North Fayette Twp. Sherry was a graduate of Duquesne University and was employed at Titan Consulting LLC working remotely in the tele-communication field. Her children were the love of her life. She was an avid animal lover and enjoyed running 5k races, traveling and working with her hands doing sewing, crafting & painting. Sherry was recently in the West Allegheny alumni Christmas concert. In addition to her parents and children, she is survived by Kelly Henke of Bulger, stepmother Valerie Verelst, brothers Steven (Roberta Wilson) Verelst of Oakdale and Richard (Cassie) Verelst of North Fayette Twp. Also surviving are her nephew Austin Verelst and niece Lillian Verelst, uncles Francis, Dan and Bruce Toward and many aunts, uncles and cousins. Sherry was preceded in death by maternal grandparents George (Red) & Florence (Sis) Toward and paternal grandparents Herman Verelst, Jr. and Albert & Margaret McAteer. Sherry was a remarkable woman with a beautiful smile who touched the heart of all who met her. 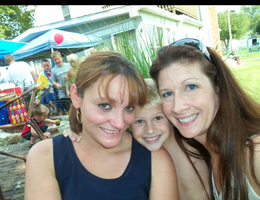 She was a wonderful mother, daughter, sister, niece, cousin and friend. Taken too soon, she will be missed by everyone that knew & loved her. Friends will be received Tuesday, 2-4 and 6-8 p.m. in the Thomas-Little Funeral Service, Inc., 314 W. Lincoln Avenue, McDonald (724-926-2800) where funeral service will be held Wednesday at 10:00 a.m.
Interment will follow in Robinson Run Cemetery. In lieu of flowers, memorial donations may be made to the family in care of the funeral home for the future education of her sons. To send flowers in memory of Sherry M. Verelst (Verelst), please visit our Heartfelt Sympathies Store. 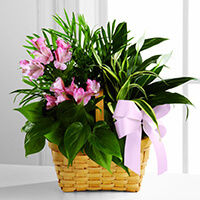 Your Friends at TITAN Consulting., General Dynamics, and others have sent flowers to the family of Sherry M. Verelst (Verelst). My heartfelt prayers to Sherry's sons. 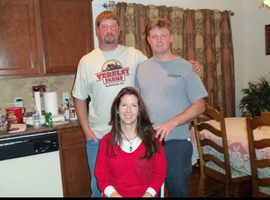 May God make her a guardian angel to watch over her boys & continue to cast love upon them. I met Sherry and the boys, when they lived in Avella, she let us take Otis, our most unique dog, Sherry and I remained friends, and Otis crossed over a few years ago. Knowing Sherry all this time, I realize why she picked Otis, he was unique, in his own way, and Sherry was also sweet, kind, caring, and unique in her own way. I was chatting with her a week ago about a chance of a lifetime trip I am taking soon, she was so excited for me, and said send her pictures. She will definitely remain in my heart forever. It was such an honor to have met and become friends. My condolences to the entire family. Sherry had a heart for people and zest for life. May God bless all of you and know we will be united in heaven. Your Friends at TITAN Consulting. Your Friends at TITAN Consulting. purchased flowers for the family of Sherry Verelst. Our thoughts and prayers are with your family. Sherry will be truly missed from her GD family. Sincerely, Eric De Riggi and the Entire Turf Team! 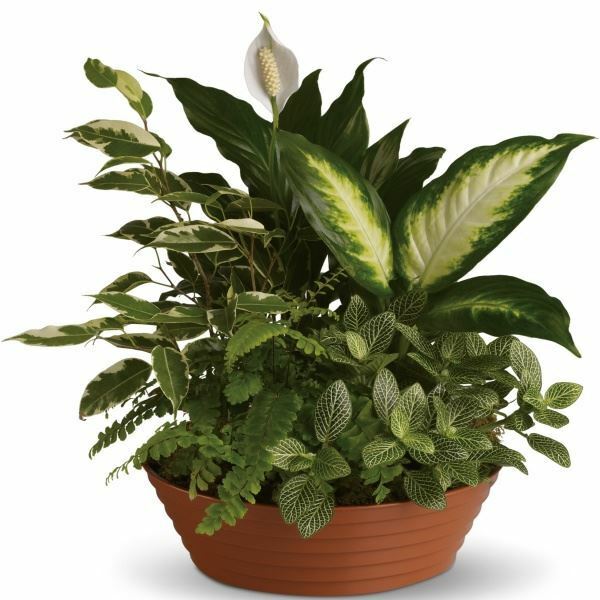 General Dynamics purchased the The FTD Living Spirit Dishgarden for the family of Sherry Verelst.